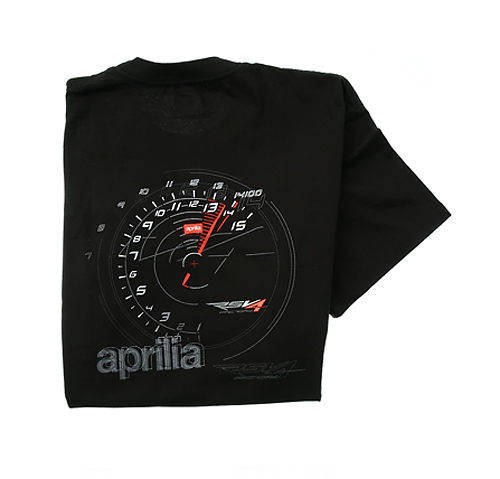 Rip it up to redline with this AF1 Racing exclusive Aprilia RSV4 sweeping tachometer design. Shirt front features the AF1 Racing logo on left chest. These t-shirts are pre-shrunk and are sized in typical American proportions. 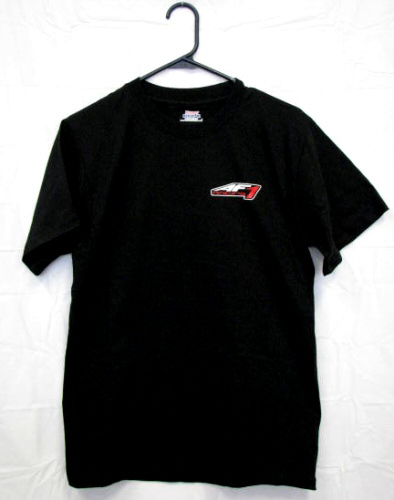 AF1 Logo V990 T-Shirt Show your love for all things Aprilia with this classic shirt designed by AF1 Racing.